Sigma MC-11 converter only £99.99 when you buy with this Sony camera. Simply add to basket for your discount. 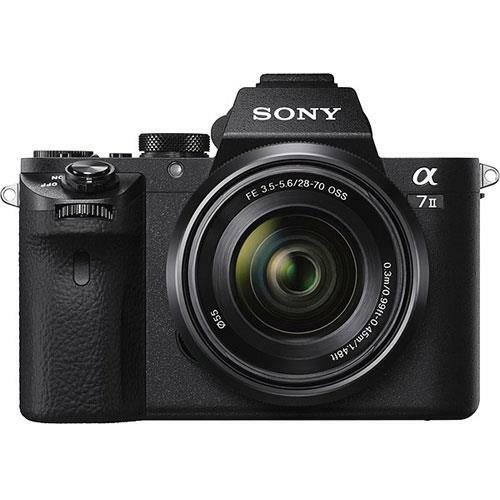 The Sony Alpha A7 II is an advanced full-frame mirrorless camera, packed with advanced features for enthusiast and professional photographers. Housing a 24.3-megapixel Exmor full-frame CMOS sensor, Full HD-video recording, in-body 5-axis image stabilisation, enhanced fast hybrid AF and an OLED viewfinder, the A7 II is a great all rounder. 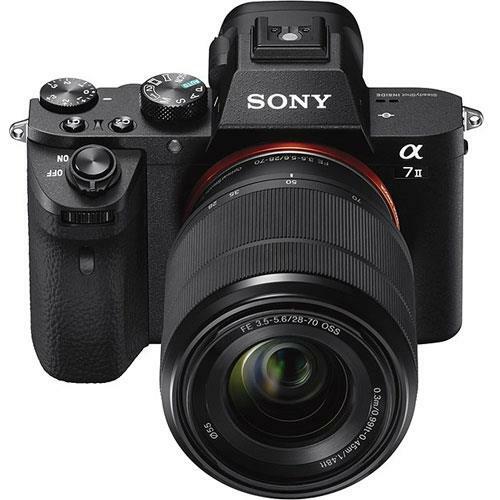 The Mark II version of the Sony A7 sees the addition of refined controls, including a more tactile grip, a repositioned shutter release button, and improved performance over its predecessor. With its magnesium-alloy frame and weather-resistant design, this is a camera that photographers can use with confidence in a variety of environments and conditions. Using Sony’s powerful Bionz X image processing engine, with intelligent area-specific noise reduction, back-illuminated (BSI) sensor construction and native ISO sensitivity range of ISO 50-25600 (expandable to ISO 51200), the A7 II can produce clean results even in challenging lighting conditions. 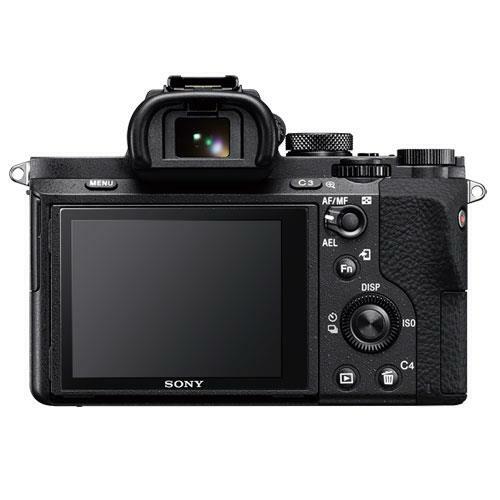 The A7 II features an autofocus system with 117-point phase detection sensors and 25-contrast detection points for quick and accurate results, 30% faster than its predecessor. It can also capture full resolution stills at 5fps with accurate continuous AF tracking. The A7 II’s 3-inch 1.229k-dot tilting LCD offers a crisp display for composing images. However, the A7 II also has a high-resolution 2.36-million dot XGA OLED Tru-finder, which is great for composing images in bright lighting conditions. Suitable for photographers looking for a professional-level camera that delivers a fine balance between stills performance and decent video-recording capabilities. The A7 II offers full manual control and customisable DSLR-like controls. Compatible with a growing family of excellent Sony E-mount lenses, the A7 II boasts some professional video-recording capabilities. Featuring 5-axis image stabilisation, the Sony Alpha A7 II can record smooth Full HD-video footage at up to 60fps. 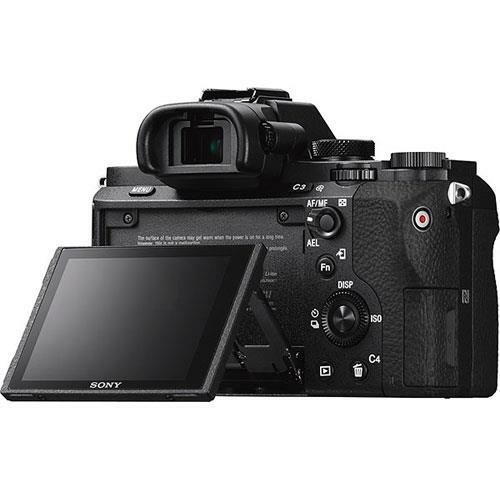 Professional video codecs and picture profiles such as S-Log 2 are offered with the Sony A7 II. Using the Sony PlayMemories app, Sony Alpha camera owners can connect their cameras to Android and Apple iOS smart devices using Wi-Fi and NFC, for seamless photo sharing and wireless camera control. PlayMemories also allow photographers to download apps that provide additional functionality for Sony Alpha cameras, such as Time-lapse, Smooth Reflection, Motion Shot and more. The lightweight and compact Sony FE 28-70mm is a versatile lens for covering a range of different photography scenarios. At its widest 28mm focal length, this lens’ f3.5 maximum aperture will allow photographers to capture images with attractive background blur. Every subject from landscapes to portraits and events can be covered effectively by the 28-70mm focal range. This lens also comes with Optical SteadyShot (OSS) image stabilisation that will help creators capture sharper images, with less noise and steadier video footage when shooting handheld. 24 Months Interest Free Finance CB (0% APR).